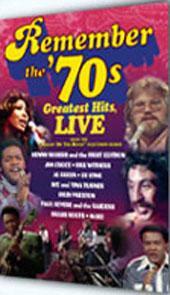 Despite the corny title this is actually quite a cool DVD culled from the archives of Kenny Rogers And The First Edition's '71—'73 variety show Rollin' On The River. The recent recollections from the band's outlaw styled drummer Mickey Jones hold the collection together, whilst the clips consist of decent live performances from The Grass Roots ('Two Divided By Love'), The Raiders ('Indian Reservation'), Ike And Tina Turner ('Get Back' and 'Proud Mary') and, of course, The First Edition. The clothes are great and the band's performances are powered. A nice time capsule of syndicated America ala the early '70s.